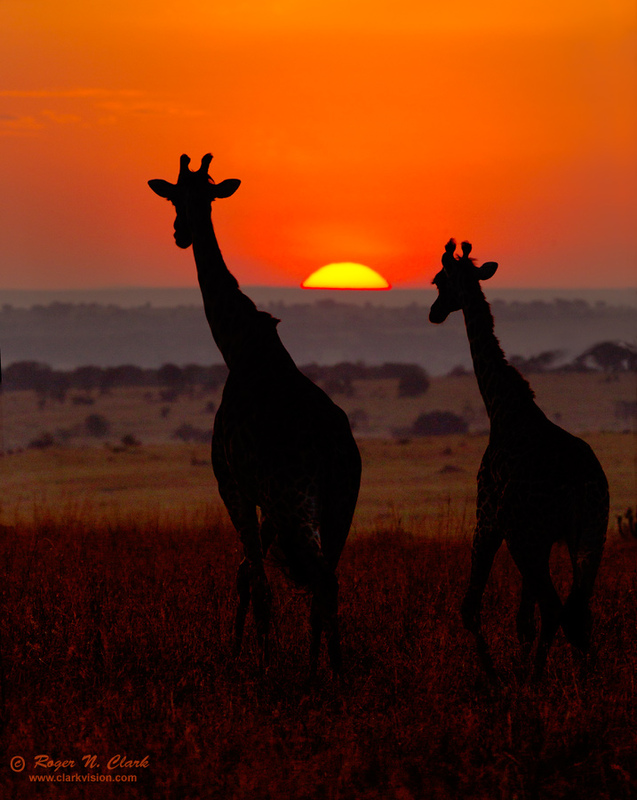 Two giraffes view sunrise while strolling on the rolling hills of the northern Serengeti, Tanzania. Serengeti National Park. Technical. Canon 1D Mark IV digital camera, 300 mm f/2.8 L IS lens at f/8, ISO 400, 1/320 second exposure. Full width image, small crop off the bottom.